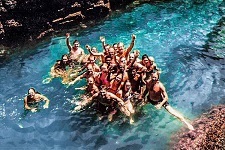 We have a reputation of being a fun, good-value hostel with excellent facilities and the most amazing, friendly local staff. Our awesome day trips explore the Wild Coast! So much fun you will want to never leave; we even give you the 5th night free. So go grab a cocktail and sit on the hill with the sun setting behind you and the dolphins and whales playing in the waves then let us cook you a delicious meal, while you relax around the fire. Try one of our 2 hour surf lessons for just R70 or the 5 Day Learn to Surf package, only R3300 including accommodation, breakfast, dinner, 7 surf lessons, theory and all equipment. In the trees, in the hammocks, on the beach or in bed. The options are endless. New friendships, new experiences, your story. Yourself, the people, the surroundings. Coffee Bay is still a deeply traditional area of South Africa where you'll experience a way of life far removed from Western culture. 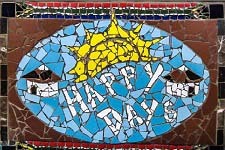 Here Xhosa culture, values and beliefs preside over daily life. Stunning location, right on the beach. 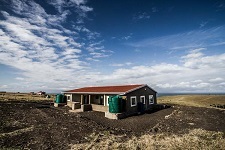 We provide clean, safe, budget accommodation which includes ensuite and private rooms, dormitories and camping. If you are looking for peace and quiet, ask about our rooms across the beach. R70 for 2 hour surf lessons, warm water and good conditions make Coffee Bay an excellent place to learn to surf. Directly in front of the backpackers, Bomvu Bay occasionally offers a very nice convenient right for the more accomplished surfers. 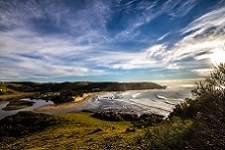 Coffee Bay has nice point and consistent beach break, for all levels of surfer, and there are many other surf spots up and down the Wild Coast, about which Dave, the owner, is very knowledgeable. Read more about our Learn to Surf Packages. We offer something to do every day. 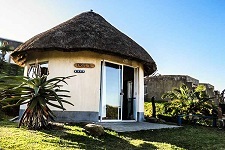 Scenic coastal hikes along the Wild Coast to Hole in the Wall and Mpuzi; unforgettable Xhosa cultural experiences that include village walks, traditional dinners and hut sleep overs; beach outings, surf lessons and learn to surf packages; then end your day drinking something cold while we take you to one of our stunning sunset spots. After dinner ask one of the staff to teach you to play the bongo drums around the fire pit. 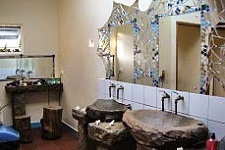 We have a reputation of being a fun, good-value backpacker’s hostel with excellent facilities and professional staff. Most visitors rate Coffee Shack as a highlight of their South African travels. We strive to create an environment that promotes social interaction, where people from around the world can learn and enjoy each other’s ideas, energy and cultures. The local Tshezi Community Trust has a 30% share in Coffee Shack, and we are proudly accredited by Fair Trade Tourism. Our NPO, Sustainable Coffee Bay is helping our community improve their lives through education and community development initiatives. Our kitchen serves up scrumptious breakfasts and 2-course dinners at very reasonable prices. We have an extensive lunch menu and there are also snacks (chips, chocolates and biltong) in the bar. All meals have vegetarian options. Choose something from our cocktail menu or grab a beer while you play a game of pool and enjoy free, fresh oysters and mussels served before dinner (Ocean permitting).